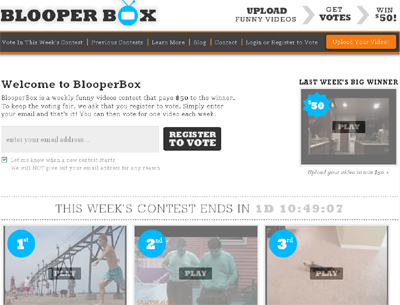 Every week 5 funny home videos compete for votes. The video with the most votes at week end takes the cash. 5 more videos compete the following week. We are not another humor site hosting funny videos, we hand select our videos to air every week.